Woodworking is like riding a bike: once you get the hang of it you’ll wonder why you didn’t do it sooner! Trust me, I speak from experience; for the longest time, I refused to attempt making a simple wood shelf for fear of failure. Until I had no choice and needed a wood plaque for a client. Let me tell you, that project changed my life forever and now I’m going to pass that favor along to you. The truth is, woodworking is less complicated than you think and can help you create some incredible pieces. 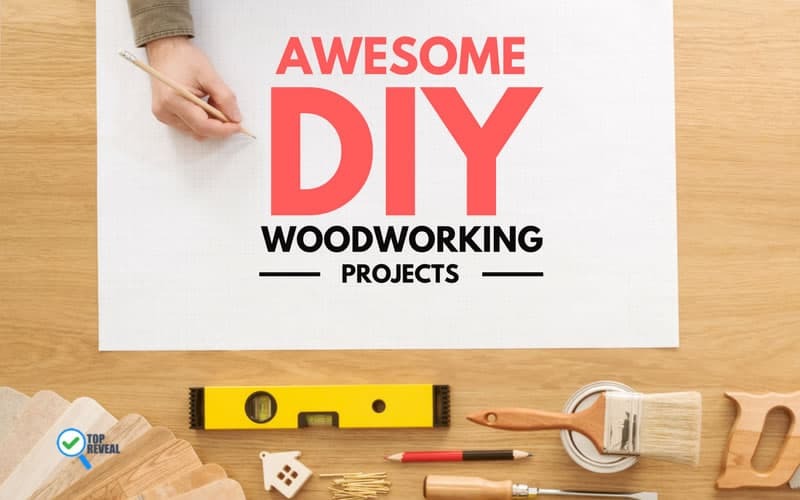 So, pick up your hammer, grab some nails and check out these 17 Awesome DIY Woodworking Projects ANYONE Can Do- Even You! 1.1 1. Wooden Wall Pallet Sign: Say it with Wood! 1.3 3. Wooden Rolling Bar: Drinks are Served! 1.8 8. Wooden Table For 2: Who Knew Wood Could Be Romantic? 1.10 10. Wooden Chess & Checkerboard: Checkmate! From simple to challenging, there is something here for every taste and skill level. Just remember to be creative and have fun! 1. Wooden Wall Pallet Sign: Say it with Wood! This is the project that started my love affair with wood and chances are it will do the same for you. 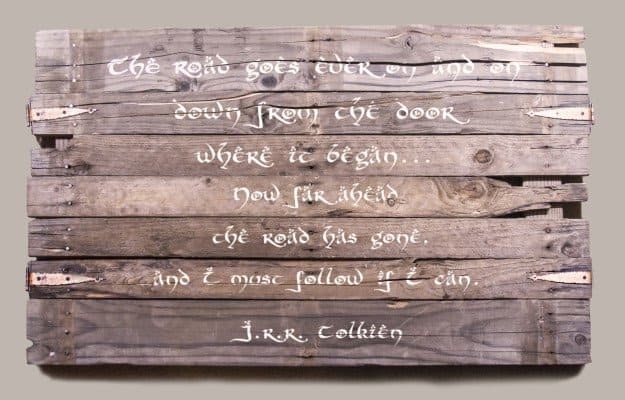 What I love most about this sign is that you can completely customize it; from the color of the wood you use to the quote you paint on it. It’s also a great starter piece, as the steps are easy to follow. Oh, and if you go for the weathered look, any small mistakes are less likely to show. Check out these step-by-step instructions on DIY Projects if you’re interested. Believe me, this is super simple, and the smile on your child’s face will make it all worth it. 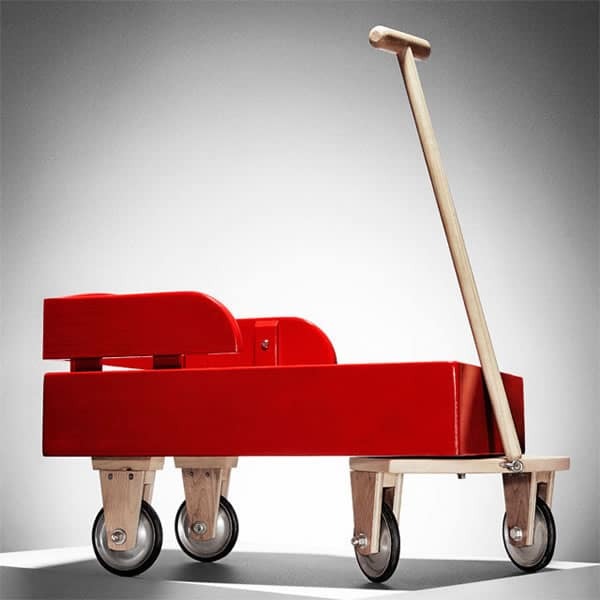 Using nothing more than wood, glue, nails and some paint you can create a one-of-a-kind wagon for your child in their favorite color. You can even have older kids help out, turning the project into a family affair and your “assistant” into a woodworker in the making. Check out these directions for building a wagon and get started. 3. Wooden Rolling Bar: Drinks are Served! Entertain guests, or enjoy a drink in your backyard with this DIY rolling wooden bar. It will hold everything you need, from cups to bottles and can go anywhere in or outside the house. The Shanty 2 Chic will show you what to do so your home can become the house to party at! Elegant and modern, this wooden address sign with a flower box accent is perfect for anyone with a green thumb. This sign will spruce up your outdoor space and is sure to be the envy of all your friends. Check out the directions for this unique sign, courtesy of Shanty2Chic. Yes, this project is a bit more involved than the others and may require a few more hands (think backyard barbecue building party), but trust me when I say it’s not nearly as complicated as it looks. And the result makes it more than worth the extra labor and time. Classic in its design, it will work perfectly in any outdoor space, lending an air of polish and a bit of shade during those long summer days. 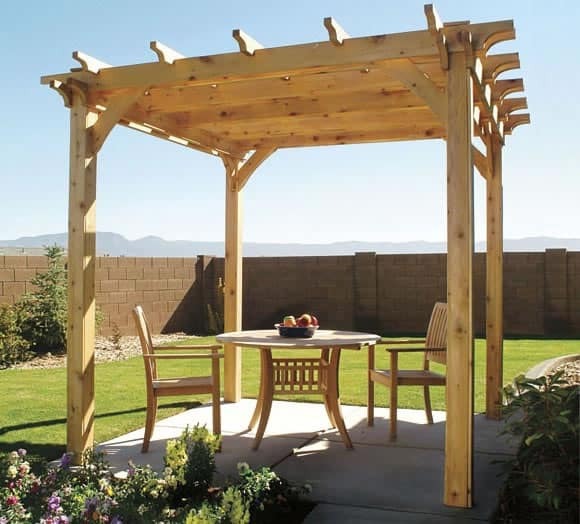 See the how-to in creating your pergola here. If you love to garden or know someone who does, this double-tier garden shelf is a fun, worthwhile project. You can customize the size and colors, so it will match any room you put it in and can fill it with the plants of your choice. For a bit more versatility, you could put wheels on the bottom, allowing you to bring it outdoors or in another room if you need to. You can even build it, fill it with flowers and give it as a gift for anyone who likes to play in the dirt. The Cwafty Blog will show you how to create your own one. If you have a husband who’s a couch potato, or you are that couch potato, this project is one you have to tackle. Forget how simple it is, it’s the pure brilliance of it that makes it a must for every home. This wooden sleeve cup holder, courtesy of A Beautiful Mess blogger Mandi Johnson, can be done in any size and shade. Which means your couch will stay free of stains AND look good while being protected. The Beautiful Mess instructions will show you what to do. 8. Wooden Table For 2: Who Knew Wood Could Be Romantic? 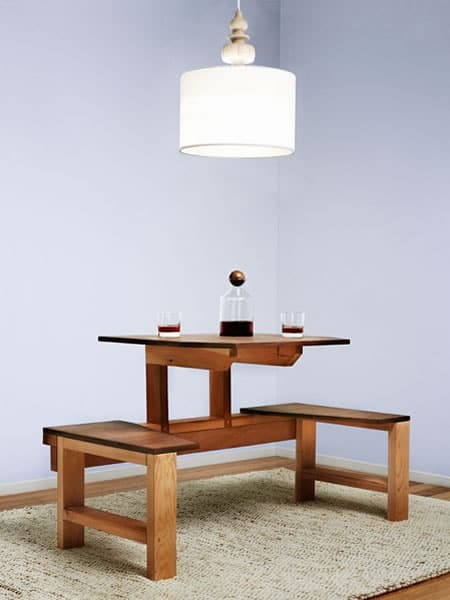 Enjoy a drink with your significant other sitting at this chic table you built with your hands! Yes, this one is a bit more involved, but you can use scrap wood or any other wood you may have on hand, making it inexpensive and beautiful. Ideal for indoors or on a patio or veranda, it lends an air of rustic sophistication to any home. These helpful instructions will help you get going. 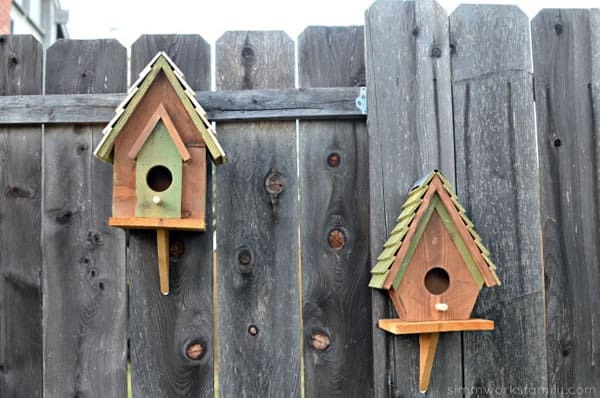 Birds will flock to your home once you build these cute houses. Ladies, this is a great project to do with the kids; and guys, if your wife or children are nature lovers, this will make an excellent gift/surprise. Get creative with the colors and have fun with it! And if you don’t have a tree to hang them from or a fence, any outdoor areas, like hanging under your windowsill or a stand, will do. As you’ll see from Crafty Spoonful, there are options to make the design easy or hard, so it’s perfect for any skill level. 10. Wooden Chess & Checkerboard: Checkmate! I did this project and can’t begin to explain how cool it is. 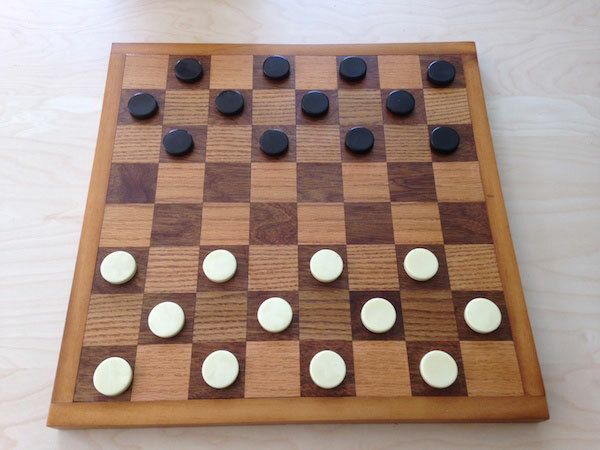 You can build the board and the pieces, or just the board and buy decorative chess and checker pieces from materials such as metal or glass, for a striking piece everyone will comment on. Popular Mechanics has everything you need to know to create this piece.. your move! Eclectic and a real show stopper, this table is deceptively easy to make. 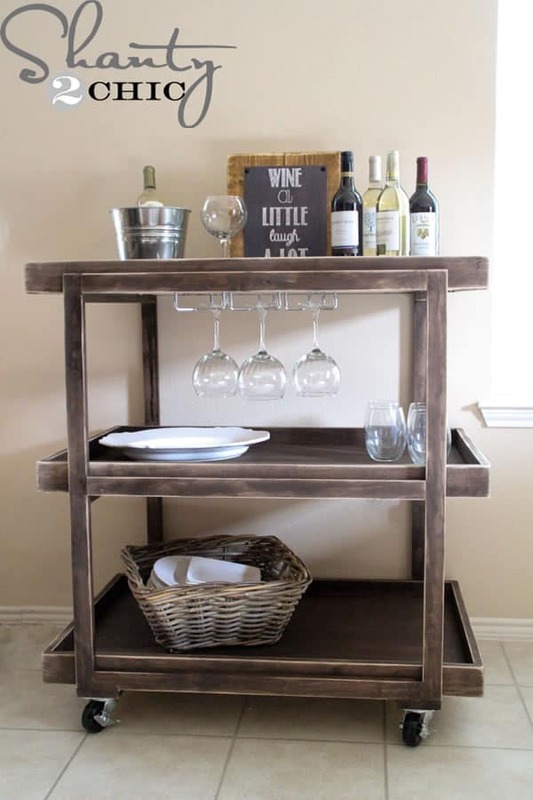 Using plywood, casters, screws and some stain, you can put this together in minutes. The great thing about this table is anything goes; you can decide on the shape, size, and wood tone, making it the perfect accent for any decor. Bob Vila’s site for beginners can show you how to do it. This rolling bookshelf has multiple uses, as you can stack it with books, plants, or any other knick-knack of your choosing. Hey, you can even fill it with toys and roll it outdoors for the kids during the summer. What I love is how sharp it looks and how simplistic the design is. Go here for complete instructions. Have a guest room you want to decorate inexpensively or a sunroom that needs relaxed seating to read your favorite book? 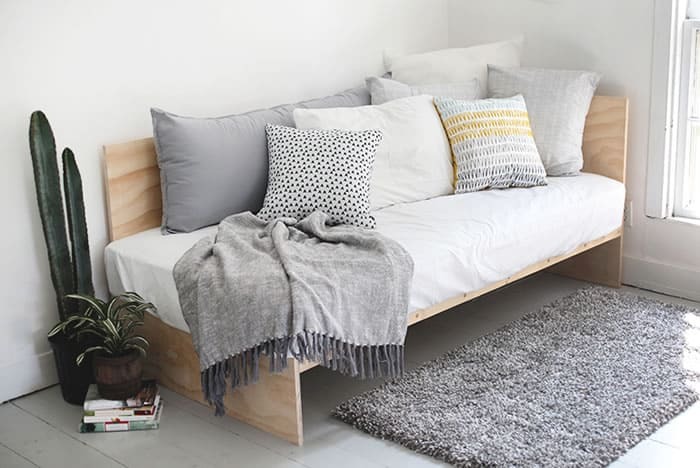 If so, this daybed is the answer to all your problems. Using plywood, you can have this assembled in no time, converting any room into a seating/sleeping area. Plus, you can decorate it in a variety of ways; leave it plain and spruce it up with colorful pillows or paint it a bright color and use neutral throws. If you have a lot of out of town guests or kids who frequently have friends sleepover, this is a solid idea that won’t cost much. Use these simple instructions to build it. Any parent looking for a fun, unique piece of furniture for their kid’s room will stop searching once they see this rainbow rocker. Modern, yet cozy, parents will have a blast building it and kids will have a blast playing on it. Yoo can choose any colors you want for the “steps” either matching the decor or use bright primary colors to attract your little one’s eye. Yes, it’s a bit involved, but you will feel proud once it’s done! You may need a good scroll saw or band saw to make it happen. If you have limited storage space, or just want an original piece for your bathroom, this is it. Functional and beautiful, the mirrored door and hidden shelving inside lets you check yourself out and keep the bathroom stocked all at the same time. Check out Shanty 2 Chic for all the details. Ladies, there is no better way to say I Love You to your hubby than with this wooden bottle opener. 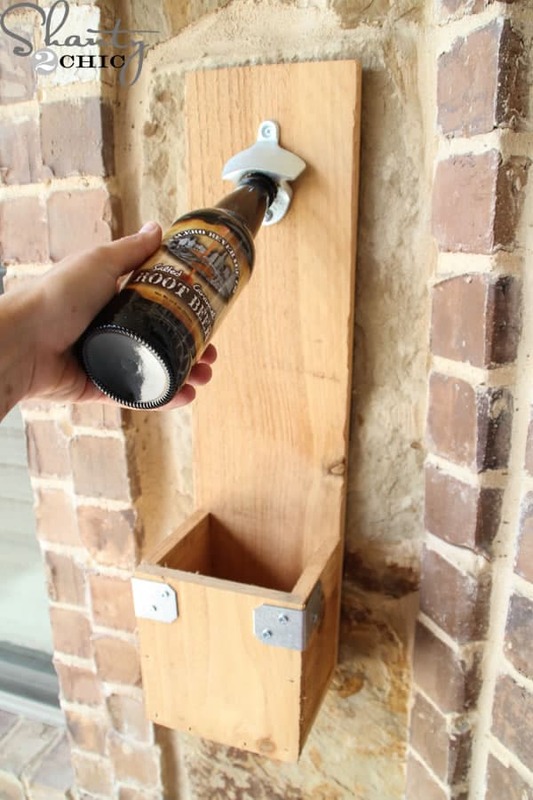 Easy to put together, you can place it anywhere in his man cave (preferably near his recliner or the pool table), so he can pop open bottles without making a mess. The bottle cap catcher is every wife’s dream, and it will be his too because it means no more nagging from you! You can even have the kids help and decorate it as a Father’s Day gift. Check out the plan on Shanty 2 Chic to get started on it! Father’s Day is around the corner, so why not surprise your husband, brother, or dad with this cool tool caddy. Fill it with some new tools for bonus points! These instructions will show you what to do. 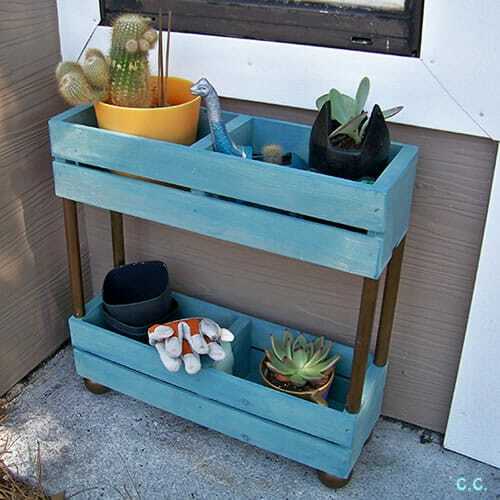 What do you think of these 17 Awesome DIY Woodworking Projects ANYONE Can Do? Are you ready to get started? Let us know what you think and be sure to share these great ideas with your family and loved ones!